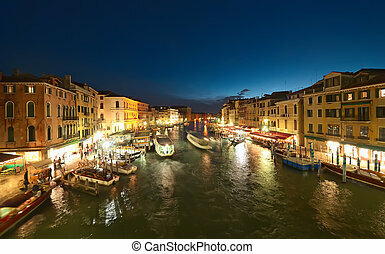 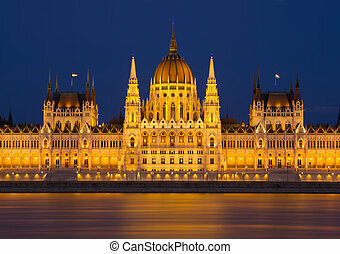 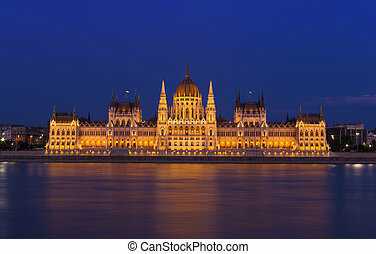 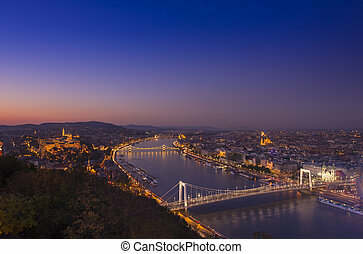 Budapest at night. 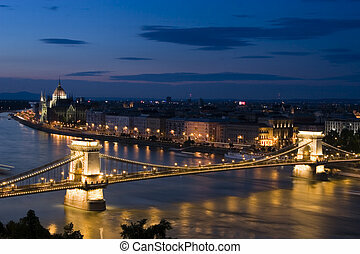 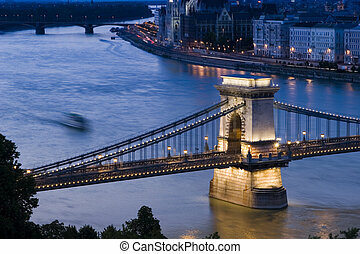 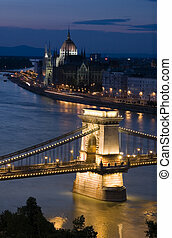 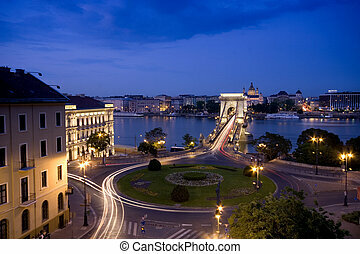 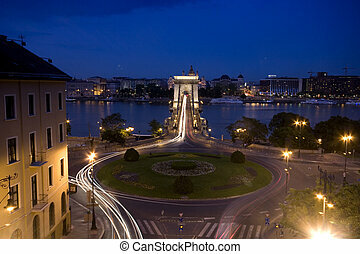 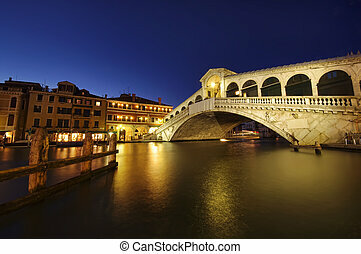 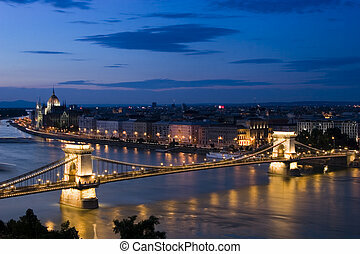 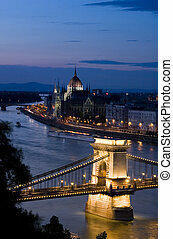 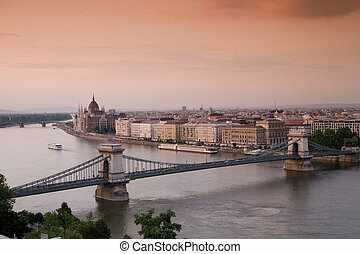 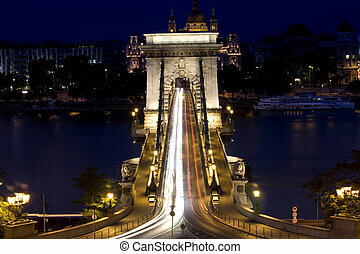 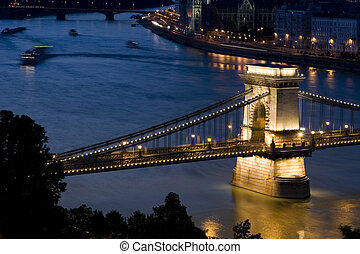 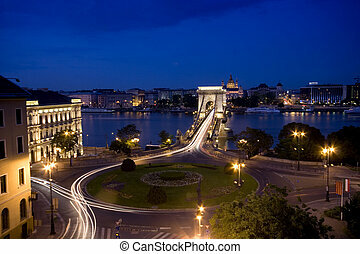 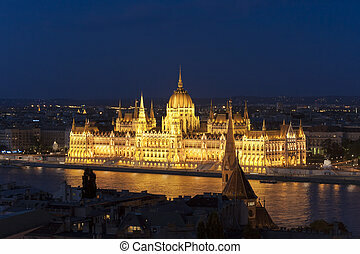 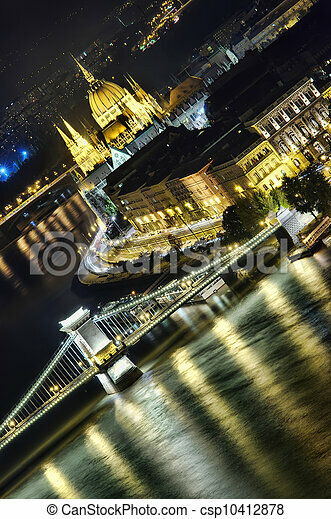 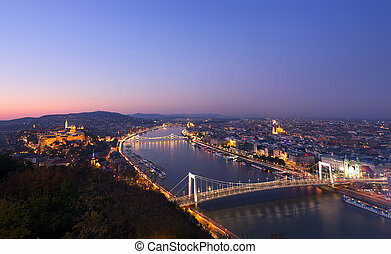 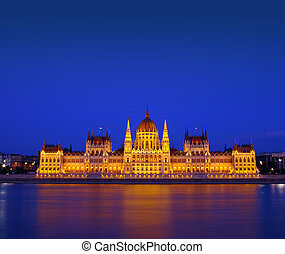 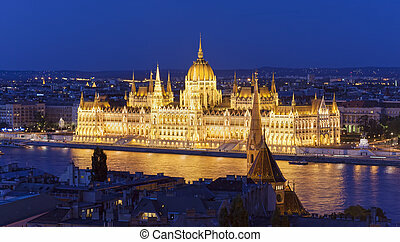 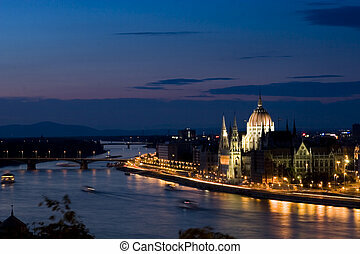 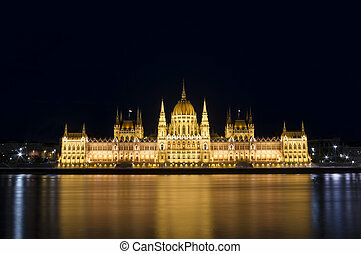 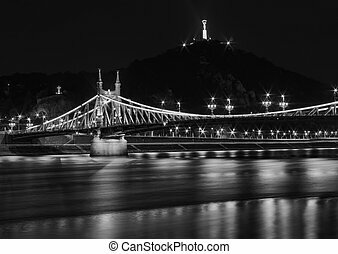 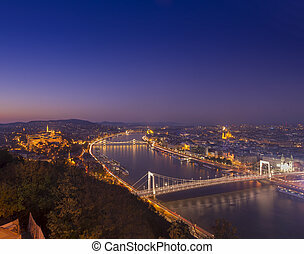 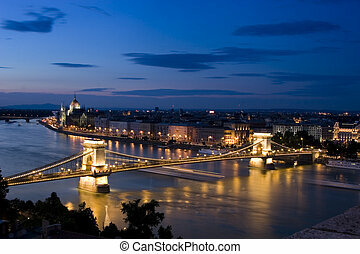 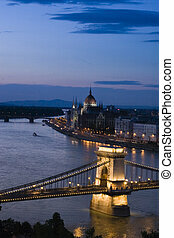 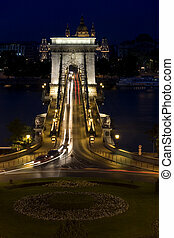 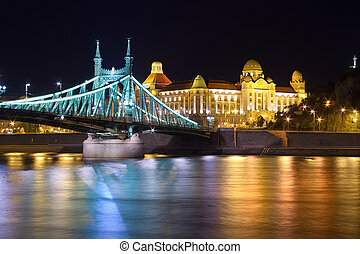 Hungarian parliament of budapest and chain bridge, night view. 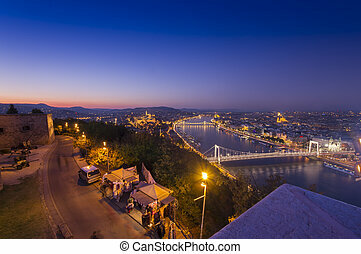 Budapest and Danube at night, view from Citadella.